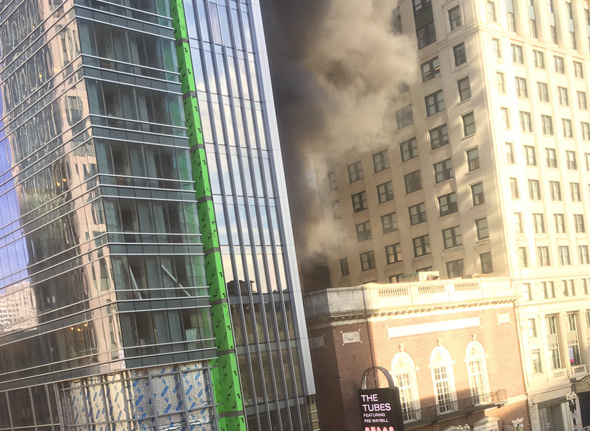 Boston firefighters responded around 5:15 p.m. to Tremont and Stuart streets, where a fire broke out on the first and second floors of a 24-story hotel under construction, next to the Wilbur Theater. Read more. The Tremont Market on Tremont Street at Worcester Street was robbed around 9:20 p.m. The suspect is described as a black man, dressed in a black zip-up coat and a gray scarf covering the lower half of his face. Architect's rendering of the mall part of the development. 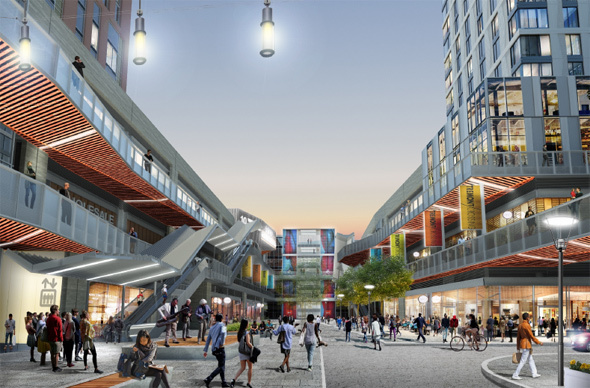 The developers who own the rights to several acres of what have become urban wilds on Tremont Street across from the Boston Police headquarters say they're so close to closing the financing they need for a $473-million multi-use complex that they've scheduled groundbreaking for April. Read more. 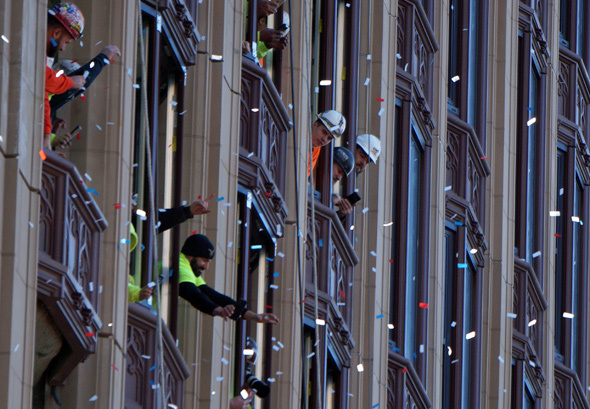 Tremont Street this morning. Source. 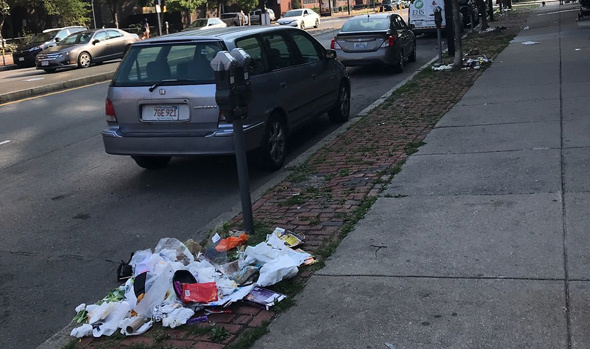 Reports poured into 311 this morning about trash bags ripped open, their contents scattered about, along Tremont Street, Massachusetts Avenue and Shawmut Avenue. As one concerned citizen put it in a 311 complaint: Read more. Around 4:25 p.m. at 755 Tremont St., near Worcester Street, WFXT reports. 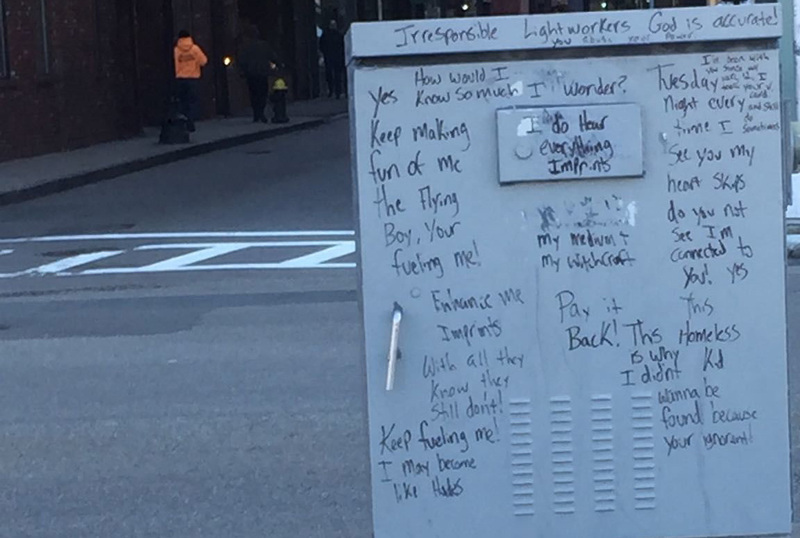 A Mattapan man faces six counts of felony graffiti after, police say, an officer out specifically to look for taggers spotted him standing next to one of those green postal "relay" boxes in the South End with a white marker in his hand. Read more. A man ran into Boston Police headquarters on Tremont Street in Roxbury around 11:30 p.m. with gunshot wounds to the groin and arm. Officers on duty at the station heard the gunfire and then discovered the headquarters building itself had also been hit - both in the front and on the Ruggles Street side. Read more. Workers who were terminated mid-day yesterday at the Whittier Street Health Center yesterday rallied with SEIU members, residents and a number of elected officials outside the Tremont Street facility this morning. Read more. Church bells across Boston rang 83 times at noon today to commemorate the 200th anniversary of the death of Paul Revere (at age 83) in 1818. 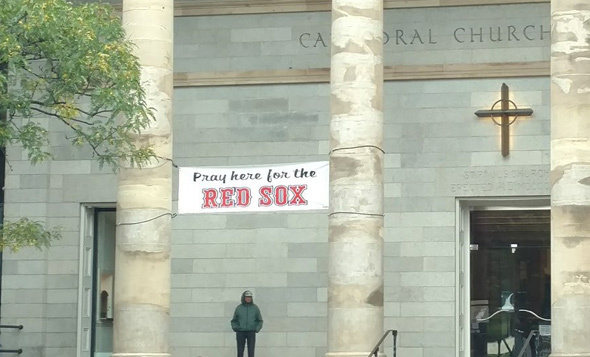 Michael Kerpan attended the ceremonies for Revere this morning at the Granary Burying Ground on Tremont Street. Kim was there as well: Read more. Boston Police say a man who tried talking to a group of women at Slade's - and who began verbally abusing them when they ignored him - wound up being escorted out of the bar by a bouncer, and chased by the women, who decided to give him a taste of his own medicine. Read more. Boston Police report arresting a woman they say pushed an elderly woman to the floor of a South End pharmacy at knife point and took her purse Sunday night. Read more.